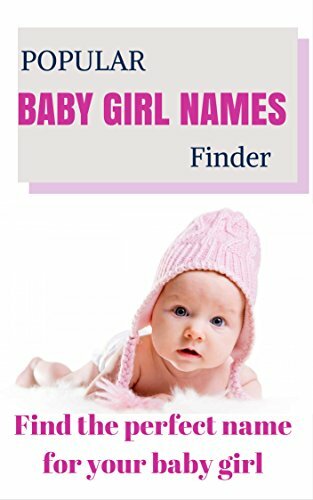 Are you trying to pick out a name for your baby girl? There are so many adorable and beautiful names available that it can be overwhelming at times to choose the perfect name. A popular trend that many parents are doing is giving their children classic baby names. While classic baby girl names may seem like old names for girls, they are also very beautiful and have sweet meanings. In this article, I'm going to go over the top 30 classic baby girl names. Hopefully, this article will help you pick a name for your little one. Let's get started. Abigail is such a beautiful vintage name that is gaining popularity. This name means "Gives joy", as well as "My father rejoices". Abigail is popular for being the name of David's wife in the Old Testament in the Bible. In the Old Testament, Abigail was known for her beauty and wisdom. Abigail is also the name of two First Ladies. This beautiful classic baby girl name means "Nobel". Many famous people have had the name Alice, including Alice Roosevelt Longworth, who was the daughter of President Teddy Roosevelt; Alice in Wonderland by Lewis Carroll; Alice Walker (author); and many princesses have been named Alice. Although the old-fashioned names Anne, Ann, and Annie are not used as often, Anna still remains popular. The name Anna means "Mother. It is also a version of the name Hannah, which is a biblical name that means "Gracious" and "Favored". Many celebrities have been named Anna, not to mention that this name was used in the movie Frozen. Even though Anna is a classic name, it is still considered very popular. There isn't a better name for your little bundle of joy than the name Beatrice, which means "Bringer of joy". This is an Italian baby name. While many celebrities have been named Beatrice, this name is most popular for being the name of the author Beatrix Potter. Beatrix Potter wrote the beloved books of Peter Rabbit. If Beatrice seems too long of a name for your little one, Bea is another great name to give your child. The name Betty means "God is my oath". It is a variant of the name Elizabeth. There are many variants to this name, such as Beth, Bess, Eliza, and Liza. This baby girl name is an English name, as well as a Hebrew name. If you are wanting a classic name for your baby girl, you can't go wrong with the name Betty. 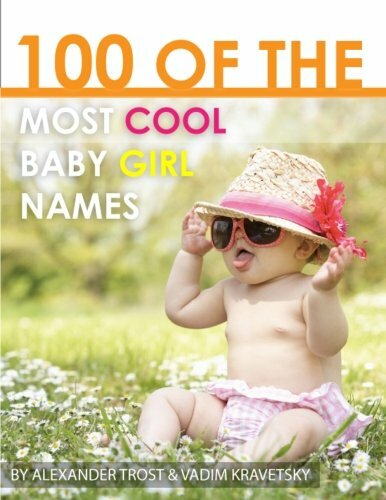 Caroline is a beautiful baby girl name that has remained in the top 100 most popular names since 1994. It’s the feminine version of Carolus, also known as Charles. It is a French name that means "Free Man". The French pronounce the name Caroline as "Ka-Ro-LEEN". However, it is usually pronounced as "CAR-O-Line". 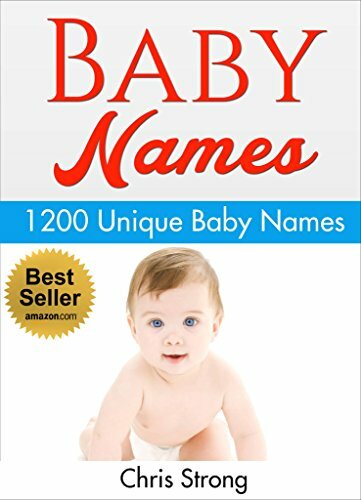 You can decide how you would like your baby's name to be pronounced. Similar to the name Caroline, Charlotte means "Free man". This name is the feminine form of Charles too. Many Queens and princesses have been named Charlotte throughout the years. Popular variants of this name include Sharlene, Charly, and Lotta. The name Clara is an English, Latin, and German name. It comes from the Latin name Clarus, which means "Clear" and "Bright". Alternative spellings include Clarissant, Clarissa, Clare, and Clair. Cora is another beautiful baby name that is listed among the classic baby girl names. The origin of this name is Greek, as well as English and Scottish. In Greek, this name means "Maiden" and "From the coral of the sea". Variant spellings include Corey and Corette. Some people name their daughters Coraline, a variation of Cora, Coral, and Coralie. It is also very similar to Caroline, so if you can't decide between the names Cora and Caroline, Coraline is a great option. Daisies are such beautiful little flowers, which is why this is the perfect name for your beautiful daughter. While the name Daisy refers to the white and yellow flower, its meaning is also "Day's Eye". Daisy is also the nickname for the name Margaret. While this name isn't as popular as some of the other classic baby girl names in this article, Delilah is still a beautiful name to give your child. The name Delilah means "Desired" and "Seductive". An alternative way to spell this name is Delila. This is another name that lost its popularity but is still such a sweet name. It refers to the French word for ten. Dixie is also a term for the southern states below the Mason-Dixon line. The English meaning of this name is an abbreviation of Richard. The name Dora means "Gift" in Greek, which is the origin of this name. Dora is the familiar form of Dorothy, Doris, and Theodora. A popular spelling alternative is Dordie. If you like the name Dora but want something a little longer, than Dorothy may be just the name you're looking for. Similar to the name Dora, Dorothy means "A gift of God" and "A vision". Dorthea is an alternative way to spell this name. Edith is a Victorian baby name that means "Riches" and "Blessed". This name also means "War". Another form of Edith is Edie. Edie means "Happy warfare", "Spoils of war", and "Wealthy". When you think of the name Eleanor, you may think it is listed under old names for girls. While it is indeed an older name, it is still beautiful and is gaining its popularity again. The Greek meaning of this name is "Shining light". The name Eleanor was the name of the First Lady Eleanor Roosevelt. It is also the variant of the name Helen. If Eleanor sounds too classic, you could use the name Ellie or Nellie instead. Esther is a Hebrew and Persian name that means "Star". Esther was the name of a beautiful Hebrew woman who married the Persian King Xerxes during the biblical times. As queen, she risked her life to save the Jews from persecution. Therefore, Esther is known for her bravery and strength. Although the name Esther lost its popularity, it is becoming more popular again due to its inspirational history, as well as because it is a vintage name. Elizabeth is such a beautiful name, not to mention a royal one. There have been two Queens in England who were named Elizabeth, with Queen Elizabeth II being the current queen of the United Kingdom and the other Commonwealth realms. The name Elizabeth means "God is my oath". Common nicknames include Beth, Bess, Eliza, and Liz. A variant of the name Louise, Eloise means "Renowned in battle". This name is also a form of the name Heloise. While this name is not as popular as some of the other names in this article on classic baby girl names, it is still a beautiful, classic name for baby girls. If you are a fan of the Disney movie Frozen, then you will love this name. Even though the movie about the queen who had magical powers to cause snow and ice is still quite new, the name Elsa is actually a classic name. The name Elsa means "Pledged to God". It is a form of the name Elizabeth. When you think of the name Emma, you would probably never guess that it is a vintage baby name. After all, Emma is currently the most popular baby girl name and has been for the past five years. However, as popular as it may be, the name Emma is listed among the classic baby girl names. It means "Complete", "Whole", and "Universal". Even though this name is very popular, it is still a sweet name that is perfect for any baby girl. The name Florence means "Blooming" and "Flourishing". Florence is often thought of in reference to a beautiful city in Italy that is considered a cultural art center. The famous nurse Florence Nightingale was born in Florance, Italy, and was therefore named after this city. Gloria is such a beautiful name that means "Glory" and "Respect". An alternative spelling to this name is Gloriana. This is a Spanish baby girl name. The name Hazel is named after the Hazel tree, a beautiful shrub that symbolizes wisdom and inspiration. If your daughter has hazel-colored eyes, this name is even better. But the name Hazel will work for any beautiful baby girl. Jane is the feminine form of John and the variant of the name Joan. While this name is plain and simple, it has a beautiful meaning. The meaning of this name is "God is gracious". It is a Hebrew name. Maggie is the tomboyish form of Margaret. Both in English and Scottish, this name means "Pearl". Peggy, Meg, and Maja are popular nicknames. The name Martha is an Aramaic name that means "Lady". Martha was also a biblical figure that was the sister to Lazarus and Mary. The First Lady Martha Washington was also given this name. The name Olivia is the feminine form of the name Oliver. It comes from the Latin meaning "Olive tree". For the past five years, Olivia has been ranked as the second most popular baby girl name. If Olivia is too popular for you, you could try Olive, or even the Italian name Oliva. The name Sadie is another classic and beautiful name. It is a nickname for the name Sarah. Just like the name Sarah, Sadie means "Princess". Another way to spell this name is Zadie. Both Sadie and Zadie were popular names during the pioneer days. Victoria, a Victorian name with the Latin meaning "Victor", is such a strong and beautiful name. It is also considered a royal name. This name is perfect for any baby girl who is a royal princess at heart. There are so many classic baby girl names that are timelessly beautiful for all baby girls. Even though these are classic baby girl names, they are still commonly used and have beautiful meanings. In this article, I went over the top 30 best classic baby girl names. I hope this article has helped you pick out a name for your little one. Let us know your favorite classic name in the comments below!